e-pill MedTime XL Dosage Template Set. 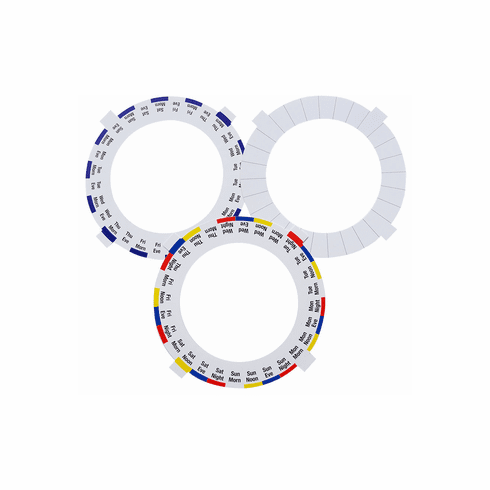 Three (3) Rings included to help load medications. Rings are printed on both sides.